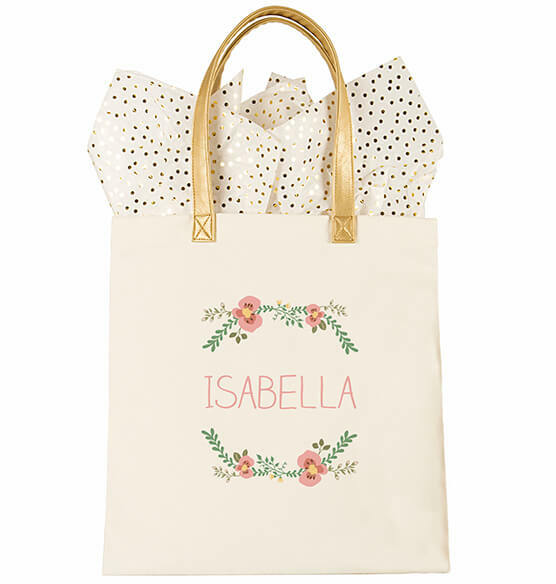 The Personalized Floral Canvas Tote is a beautiful accessory you can use everyday. 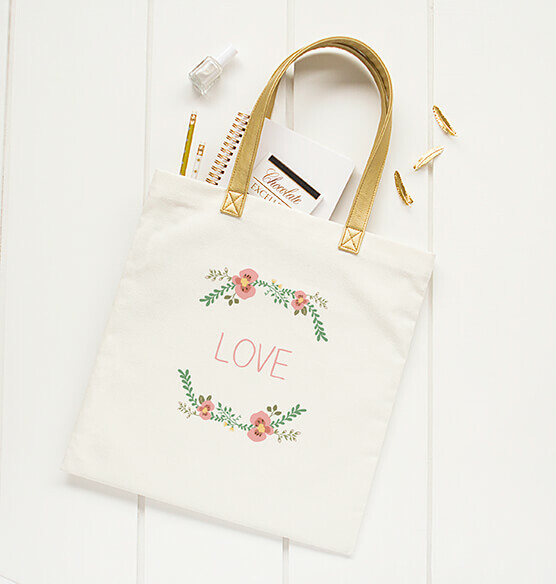 This adorable canvas handbag features two faux leather golden handles, durable canvas fabric, and a printed floral design. 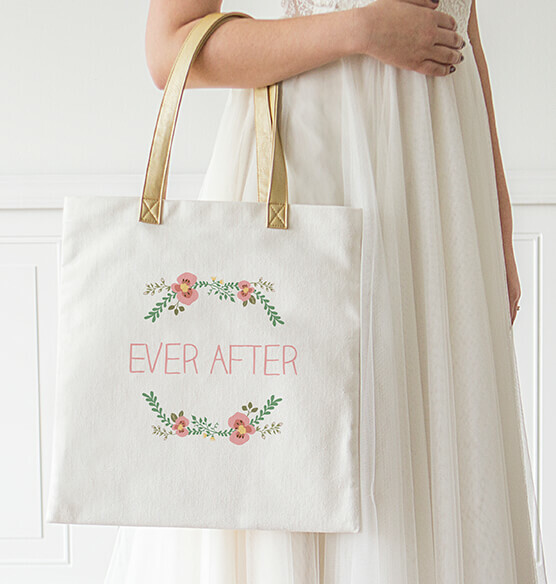 A great gift for the bride-to-be, bridesmaid, or loved-one, this floral bag will keep all the essentials in one easy to reach place. 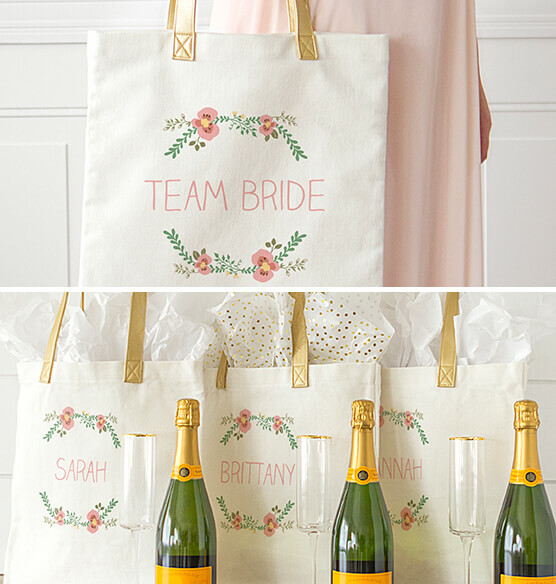 Thick canvas fabric and faux leather. 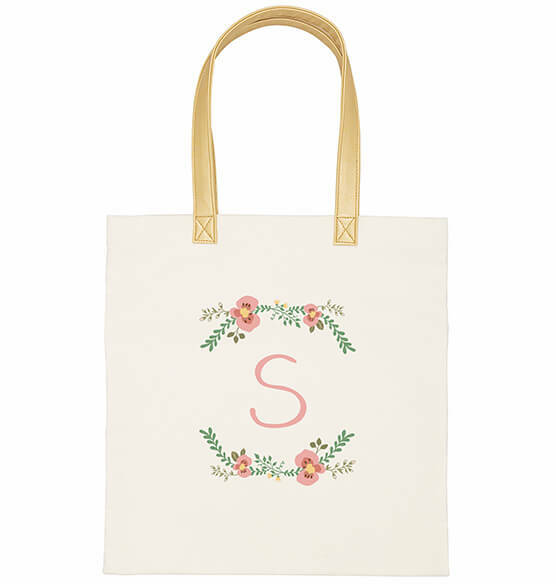 Tote: 15 1/4" L x 14 1/2" W x 1/4" thick. Handles: 20 3/4" L x 1" W.